Jackson Paper plans to invest about $14 million in its new plant in Morganton, NC, and begin operations in the 2nd quarter of 2019. The new facility will produce more than 1 billion square feet per year of corrugated sheets for sale to corrugated box makers. Aug. 28, 2018 (Press Release) - Jackson Paper Manufacturing Company, North Carolina's largest recycled paper producer, will open a new plant in Burke County, creating 42 jobs. The company plans to invest approximately $14 million in its new plant in Morganton and begin operations in the 2nd quarter of 2019. This new facility will produce more than 1 billion square feet per year of corrugated sheets for sale to corrugated box makers. 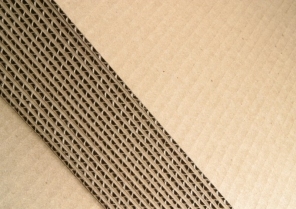 Jackson Paper manufactures 100 percent recycled corrugated medium at its Sylva location. Corrugated medium is used in the production of corrugated sheets. Headquartered in Sylva, North Carolina, Jackson paper supplies paper to corrugated box makers throughout the United States. The company is committed to protecting the natural environment it calls home in western North Carolina. “We are extremely excited about expanding our corrugated sheets business into the Morganton area. We greatly appreciate all the efforts of the Governor as well as the state and local governments in helping to facilitate this project and we look forward to a great future in the area,” said Tim Campbell, CEO of Jackson Paper Manufacturing. “Jackson Paper has first-hand knowledge of the advantages North Carolina offers a manufacturer, including a highly skilled workforce and opportunities for training and pipeline development, project-ready industrial sites and strong infrastructure,” said Commerce Secretary Anthony M. Copeland. N.C. Commerce and the Economic Development Partnership of N.C. were instrumental in supporting the company's expansion decision. Salaries will vary by position. Once all positions are filled, the total annual payroll impact will be more than $1.8 million. Average wages for the project are expected to be above the Burke County average wage of $34,954. A performance-based grant of $100,000 from the One North Carolina Fund will help facilitate Jackson Paper's project in Burke County. The One NC Fund provides financial assistance to local governments to help attract economic investment and to create jobs. Companies receive no money upfront and must meet job creation and capital investment targets to qualify for payment. All One NC grants require a matching grant from local governments and any award is contingent upon that condition being met. In addition to North Carolina Commerce and the Economic Development Partnership of North Carolina, other key partners in the project include the North Carolina General Assembly, the North Carolina Community College System, the Golden LEAF Foundation, Burke County, the City of Morganton and Burke Development, Inc.